„Business Enterprise & Finance” is a scientific journal edited and published by Faculty of Finance and Computer Science by the Bialystok School of Finance and Management. Since we are open to cooperation with not only academics but also business companies and institutions the journal is designed for economists and researchers interested in theory and practice of economics. Next to the articles on modern developments in the economy the results of empirical research and the reviews of books on economics are published within our journal. Additionally, information about planned and held conferences and seminars are to be found in the journal. 1 The Editorial Board accepts scientific articles for publication devoted to economic problems. 2 Articles are accepted for publication on the basis of the opinion of two reviewers. Review is anonymous, which is to ensure high educational standards of the journal. 3 Editors will not accept texts previously published in other publications. 4 Editors do not return unsolicited materials. 5 Texts are accepted in English or Polish (summary in English). 6 Authors bear responsibility for the information and views contained in the articles. 7 The editorial board is the ultimate authority accepting articles for publication in a given number. 8 Articles published in the Journal are free. 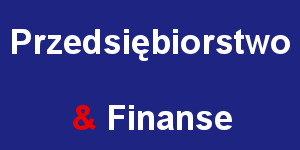 9 Editorial requirements for articles submitted for publication in the Journal „Business & Finance” can be found on the WSFiZ Białystok Publishing House webpage. 10 Please prepare the text in accordance with the accompanying editorial requirements. 2 The article is sent for review. Editors appoint two independent reviewers. 3 Editors send the author a review of the text in electronic form. o In the case of two positive reviews, the author shall make the necessary corrections and return the completed article to the Editor. o In the case of one positive review and one negative review, the author may ask for the article to be reviewed a second time after (s)he has made the necessary corrections. After receiving a second positive review, the article is directed for publication in the next issue of the Journal. o In the case of two negative reviews, the article is not published, and Editors notify the author. 4 The author has 14 days to make corrections identified by the Reviewer. 6 The editors reserve the right to make any corrections indicated by the corrector of the text. 7 The editors send one copy of the journal to the author, to the address indicated by the author.